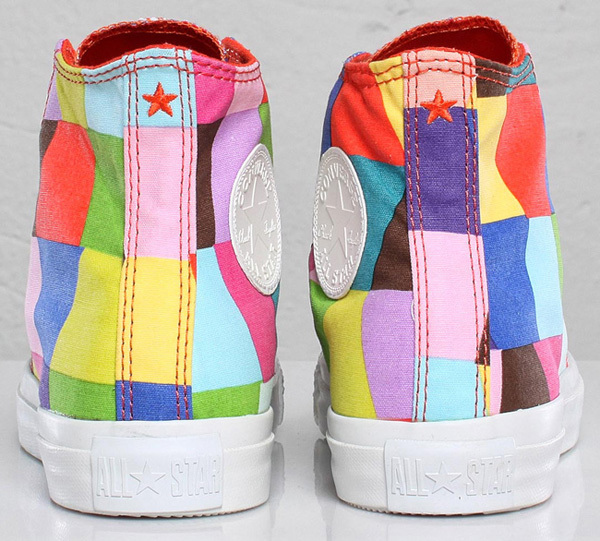 Converse has collaborated with Nike and Marimekko, a Finnish design firm, to produce yet another redo of their timeless Chuck Taylor All Stars. 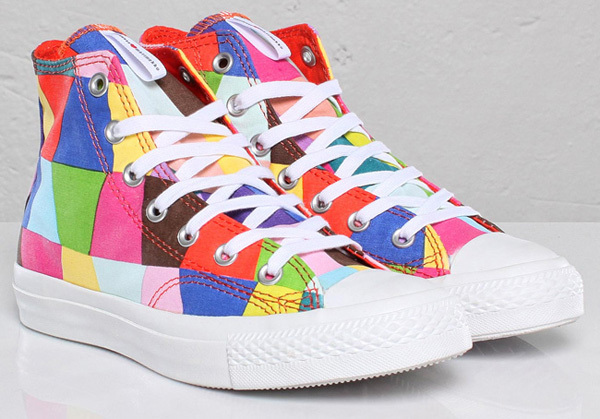 The venerable shoe company has joined forces with many design teams over the years and this latest edit is just another rendition of the high-tops that’ll get you plenty of attention. 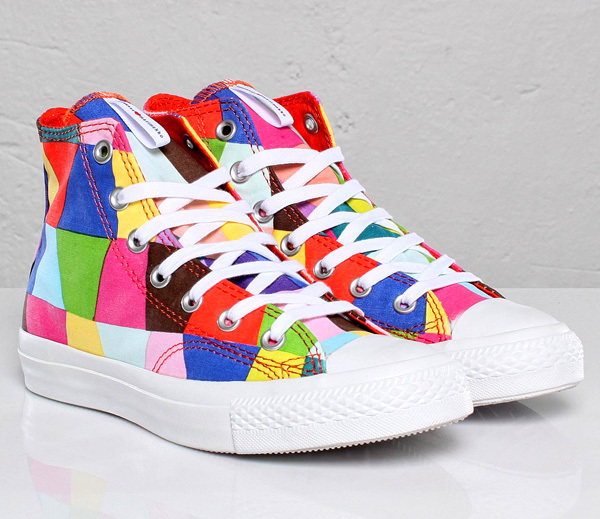 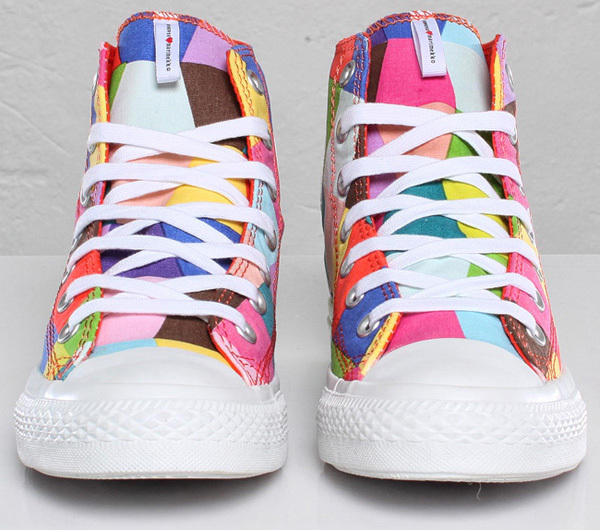 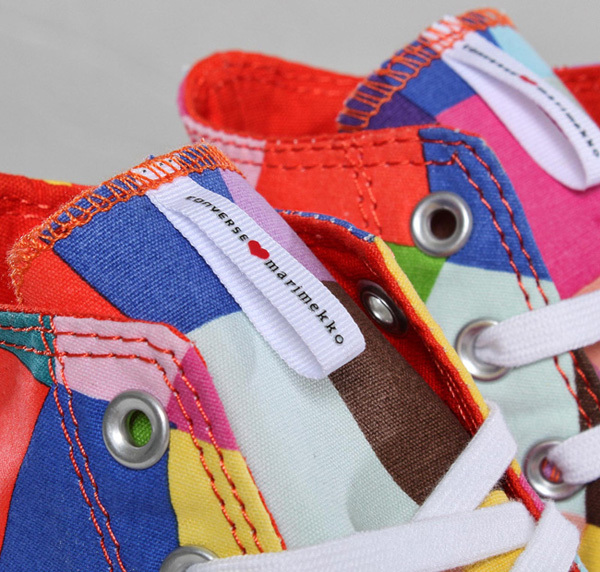 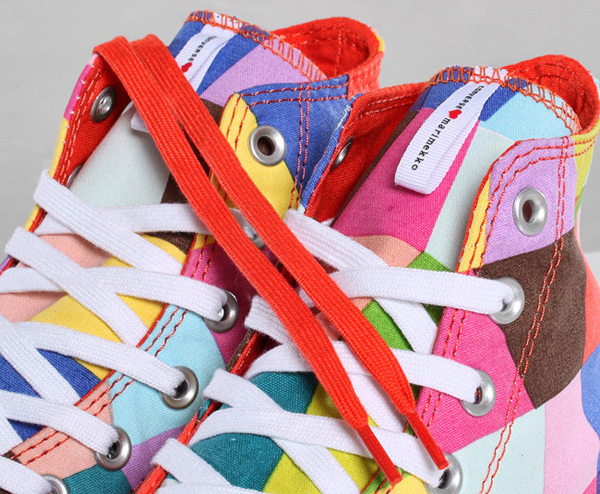 This time, the sneakers feature a meshed design of trapezoidal shapes of varying bright colors, highlighted with logos of Marimekko and Converse on the heel tab, ankle panel and tongue of the shoe. 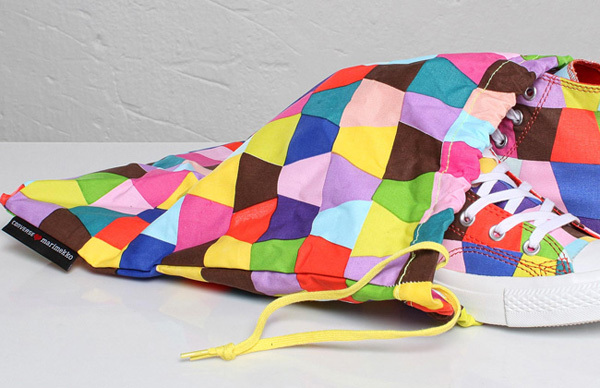 Grab a pair for $115 (€80) and you’ll also get a similarly patterned sneaker bag with the purchase.